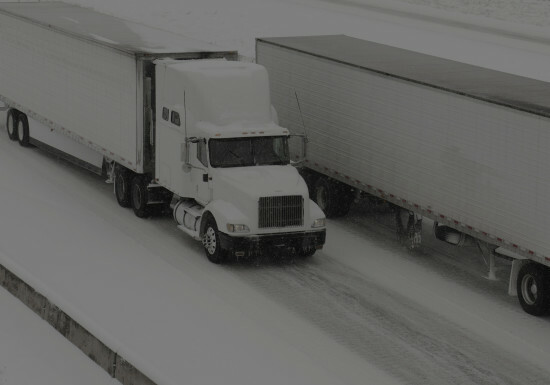 Your source for the tips, advice, and information you need to keep your fleet and drivers safe during winter. Get a complete training module on Winter Driving. Familiarize yourself with these key weather terms. Make sure your vehicle is properly serviced and maintained before the winter season begins. Proper maintenance of vehicle fuel tanks is an essential part of running a trouble-free winter operation. Fleet operators with newer 2007/2010 Engine Technology must consider some special circumstances for maintaining their fleet this winter. Winter tires are essential to many fleets in the coldest parts of the country. Learn what to look for when inspecting your tires this season. Driver fatigue is a problem exacerbated during the winter. If you’re a fleet manager, use this tip sheet for advice on how to keep your drivers safe. Refresh your knowledge of important preventive driving habits that can make a big difference in winter driving safety. It’s crucial to equip your vehicle and your drivers with a variety of survival, safety and maintenance items. Driving in low visibility during a winter storm requires drivers be trained for a unique and often, dangerous, set of road conditions. Get the information you need here. Ryder partners with the American Red Cross for disaster relief. Learn more at American Red Cross.